Will the OnePlus 6 disappear in the shadow of the Honor 10? OnePlus and Honor have a lot in common. In addition to being two relatively smaller Chinese brands, both focus on community by offering smartphones in step with the current trends, performance and a cheaper price than the flagships of other brands. With the Honor 10 and OnePlus 6, this hasn't changed. But what makes the two devices different? Finding a truly amazing smartphone in terms of design is not easy. This year, for now at least, I was surprised by the Huawei Mate RS Porsche Design as well as the P20 Pro which, however original, is hard to pin down. The Honor 10 can't say it has unique lines, as it's inspired by the P20 which, in turn, is inspired by the iPhone X. The final result is nevertheless pleasing to the eye, especially in the blue and green colors: the glass outer shell makes really beautiful reflections. If you prefer something a bit more subtle, the Honor 10 is also available in more classic colors like black and gray, but be warned that the wow effect of the device disappears almost immediately. With a slim body at 7.7mm thick, it's nice to look at and comfortable to hold in your hand. The Honor 10 is not waterproof but offers a headphone jack, Face Unlock and a very small fingerprint reader on the front. It's too bad the previous one did its job better. Among the features that make it special include the presence of artificial intelligence, which aids in photography and translation. Personally, I have never been a fan of OnePlus from a design standpoint. But I have to admit that the brand has made its smartphones more pleasant over the last year. Even the OnePlus 6 tries to surprise with a slim body with rounded corners and the Mirror Black color comes with an elegant shiny shell. You can alternatively have it in Midnight Black, the opaque variant, but there are no exuberant colors (Silk White is the limited edition model coming soon). The OnePlus 6 is the first smartphone of the brand to be made entirely of Gorilla Glass 5. The bezels are down to a bare minimum and there's a fingerprint reader on the back. In addition, there's Face Unlock. On the OnePlus 5T, it's really fast and so the OnePlus 6 shouldn't be any slower, but we've yet to test it down to a thousandth of a second. OnePlus 6 does not boast artificial intelligence like the Honor 10, but the Smart Capture software function makes the camera's shots clearer and that finds the right way to optimize them. Other features available on OnePlus 6 include Bluetooth 5.0 and Dual SIM support. The Honor 10 comes with a FullView display with reduced bezels around a 5.84 inch, Full HD screen, with a 2240x1080 resolution. The performance is powered by the Kirin 970 equipped with an NPU dedicated to artificial intelligence. In the case of the Honor 10, we can already say that the smartphone is able to handle any task we could throw at it. The smartphone offers 4GB of RAM together with 64 or 128 GB of internal memory which sadly cannot be expanded via microSD. On the other side, the Honor 10 mounts one color and one monochromatic camera sensor, which pack 24 and 16 megapixels respectively with an aperture of f / 1.8. For selfies, there's the 24MP sensor with f / 2.0 aperture. The results? Good, the quality of the photos are better than average even if in some cases the AI ​​is a bit too present. The 3,400 mAh battery keeps things running until the end of the day, but don't expect a whole weekend of power from it. From the software side, it's as up-to-date as it can be: both Android Oreo and the EMUI interface are on the latest version available, 8.1. Android P: Which smartphones and tablets will get the update? The OnePlus defends itself with a larger 6.28-inch AMOLED screen and a resolution of 2280x1080 pixels. Even OnePlus opts for the 19:9 format to reduce bezels to give the user a better experience. Integrated in the OnePlus 6 we find the latest Qualcomm processor, the Snapdragon 845 octacore made at 10nm which runs at up to 2.8GHz. We have not tested it yet, but the chip can be found in other flagships, and the results so far have been good. The Sony Xperia XZ2, LG G7 ThinQ and Samsung Galaxy S9+ are good examples of this. To support the SoC we find an Adreno 630 GPU, 6 or 8 GB of LPDDR4X RAM and internal UFS 2.1 memory of 64, 128 or 256 GB. 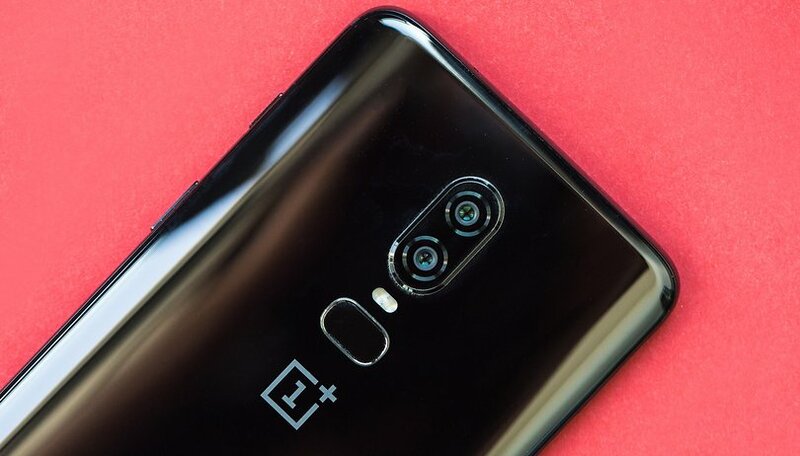 OnePlus is also offering a dual camera, consisting of a Sony IMX 519 16MP sensor and another, also Sony, IMX 376K with 20MP, both with f / 1.7 aperture. On the front, there is a 16MP IMX371 sensor with f / 2.0 aperture. To keep the OnePlus 6 alive and kicking there's a 3,300 mAh battery with Dash Charge (5V 4A). Unfortunately, we've have not yet had the chance to put the OnePlus 6 to the test as we have with the Honor 10. OnePlus has issued a rather tight NDA that, for the moment, does not allow us to review the smartphone in depth. To find out the real performance of the new flagship, you will still have to wait a few days. Pricing is another thing the two brands have in common. Both OnePlus and Honor focus on their community of fans and try to put the best tech they can into their smartphones and offer them cheaper than the competition. While the price of OnePlus 6 and Honor 10 is not the same, clearly both are below average. The Honor 10 can be purchased on the hihonor site in Europe and the UK at a price of €399 or £399.99 for the basic variant with 64 GB of storage, which converts to $472 USD, while the model with 128GB of internal memory will cost more. The OnePlus 6 will cost €519 in Europe (equivalent to $614) and is available, for now, only on the official website of the brand. As you can see, the Honor 10 is the less costly device, though the US price of both devices is still unknown. To be able to tip the scales towards one of the devices, you will have to wait for the final review of OnePlus 6. The Honor 10 has already proven itself and gets nearly full marks considering its performance and price. The build quality is excellent and the design is great, but as always, it's a matter of taste. The OnePlus 6 does not disappoint at first glance and has great build quality and finish. The specs are good on paper and the Snapdragon 845 with OnePlus' software should be able to offer good performance. Neither brand ignores the trends of the moment (notch, face unlock, almost bezelless display) but they aren't waterproof and don't offer stereo speakers or microSD slots. Both for Honor and OnePlus, the community counts, but the cheaper price of Honor 10 could convince some more users to choose it. We must also consider that some users may love the software experience offered by OnePlus and by comparison find EMUI still immature or excessively personalized. We will update this article as soon as we are allowed to do a final, in-depth review of the OnePlus 6. In the meantime, which would you choose? Which will your next smartphone be? Choose “OnePlus 6” or “Honor 10”. I doubt it, I have bought and returned a View 10 and a P20 for the sole reason neither would play Hill Climb Racing 2, major dropped frames and stutters. How many games it has difficulty with I don't know. I have seen it mentioned that the Kirin 970 has GPU issues. Funny part is I am using a much less powerful Mate SE now and it plays the game fine. The only other thing I dislike about Huawei/Honor phones is that they continue to strip off Google Smart lock (except for BT). I must be the only person that likes their device to stay unlocked at home. I will be ordering the OP6 on the 22nd but to be honest I do VERY much like the Mate SE. I highly recommend this phone for anybody that doesn't want to lay down big money for a smartphone. In the US I don't expect either of them to really be contenders. This appears to be a very good comparison. I think many consumer's will take a long look at the Honor10 because it's cheaper. The downside is EMUI. I give the op6 the edge there. But both have reasonable prices, so I guess it's just a matter of choice!